My good lady wife Mrs J. Whyte has just purchased her new Fiesta Zetec from Ford Dunfermline. Excellent service the way she was attended too superb; would recommend this dealership and all the staff without hesitation. 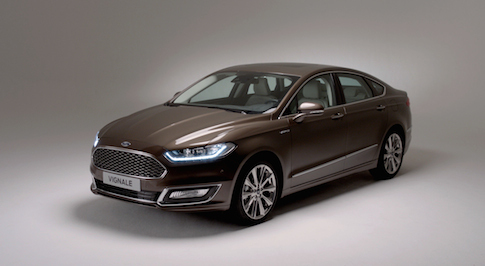 Looking for a new Ford Mondeo Vignale for sale? If you are in the market for a new Ford Mondeo Vignale, then consider visiting Bristol Street Motors. At our dealerships up and down the country, you will find an extensive range of Ford cars at affordable prices, which includes the Mondeo Vignale. With a transparent and honest sales approach, we won�t put you under pressure and can take the stress out of looking for a new car. At Bristol Street Motors, we also have excellent facilities onsite and various finance options, so you will struggle to find better Ford Mondeo Vignale deals anywhere else. With the Ford Mondeo Vignale, you�ll get a car that is truly above the cut. Benefitting from a substantial list of luxurious furnishings and features such as Windsor leather trim, panoramic glass sunroof, a noise cancelling system, and electrically adjustable heated seats, the new Vignale is something a little special from Ford. With superb reliability, low running costs, sharp handling, good ride comfort, and ample safety kit, if you�re looking for a car that can handle anything you�ve just found it. When you visit us at Bristol Street Motors, our experienced and adept team will be able to furnish you with knowledge about the Ford Mondeo Vignale. This includes answering any questions you have about the car�s specifications or the finance options available. We want the buying experience to be as enjoyable as possible too, so our staff strive to provide expert assistance wherever possible. If this sounds too good to be true, then make time to visit us at a dealership nearby and see what we can do for you in person.